ModBargains is proud to introduce the new custom-made Neuspeed 8mm Spark Plug Wires for VW Passat (B5)! 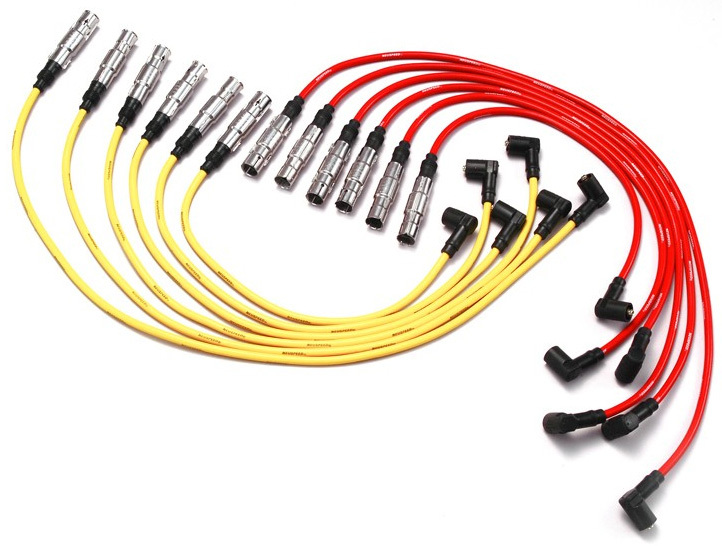 Featuring double-layered, nylon-reinforced virgin silicone construction, these spark plug wires is very flexible and resists temperatures up to 600-degree F. These Neuspeed Spark Plug Wires for VW Passat is optimal for street and racing applications. They are available in red or yellow with black Neuspeed lettering, allowing you to fully customize your under-the-hood appearance based on your color preference. Take vehicle performance to the next level today with the ultimate spark plug wires for the Passat B5 from ModBargains! Professional installation is recommended. Get these Neuspeed Spark Plug Wires for Passat installed by our experts at ModBargains. Our experts are highly trained to perfect each install.